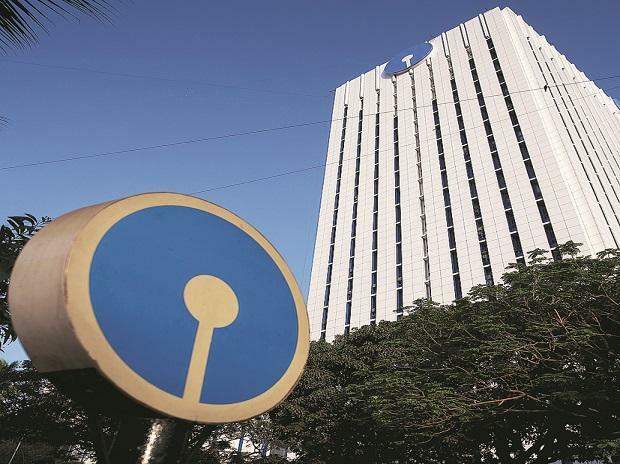 State Bank of India, the country’s largest lender, posted a net profit of Rs 3,954 crore for the third quarter ended December 31, 2018, (Q3FY19) on substantial improvement in interest margins and control over slippages. It had posted a net loss of Rs 2,416 crore in the third quarter of December 2017 (Q3FY18). Net profit in the second quarter of the current financial year was Rs 944 crore. Despite reporting better profits over Q2, the SBI stock closed 3 per cent lower at Rs 284 per share on BSE. The bank attributed profits in Q3FY19 to domestic credit growth (15.65 per cent) and better net interest margins (NIMs) due to higher yields on advances. Cost of funds remained flat. Control on slippages, lower overhead expenses and write-back of mark-to-market provisions due to softening of bond yields contributed to strengthening of the bottom line, SBI chairman Rajnish Kumar said. Net interest income (NII) grew by a healthy 21.42 per cent from Rs 18,688 crore in Q3FY18 to Rs 22,691 crore in Q3FY19 mainly on growth in domestic credit and lower slippages. The NIM improved by 30 basis points to 2.97 per cent in Q3FY19 from 2.67 per cent in Q3FY18. “The NIM is inching up and the first step is to take the NIM to the three per cent level,” Kumar said in conference call with the media. However, non-interest income declined by 0.61 per cent to Rs 8,035 crore in Q3FY19 from Rs 8,084 crore in Q3FY18, mainly on account of decline in trading income. Deposits grew by 6.76 per cent from Rs 26,51,240 crore in December 2017 to Rs 28,30,538 crore as on December 2018. The share of low cost deposits (current account and savings account or CASA) improved by 10 basis points from 45.13 per cent (in December 2017) to 45.23 per cent in December 2018. Total advances rose by 11.99 per cent from Rs 19,24,578 crore in December 2017 to Rs 21,55,316 crore in December 2018. Corporate advances expanded by 20.67 per cent to Rs 7,74,715 crore in December 2018, led by growth in loans to public sector undertakings and high rated corporates. Retail personal loans registered a growth of 17.57 per cent at Rs 6,12,595 crore as on December 2018. As part of the retail book, the home loans portfolio rose by 15.33 per cent to Rs 3,47,255 crore as in December. SBI bought retail assets worth Rs 11,112 crore, mostly priority sector loans, from non-banking financial (NBFCs) and housing finance companies (HFCs) in the third quarter. The NBFCs and HFCs experienced liquidity pressure following defaults by IL&FS group entities in the second quarter. Its asset quality profile showed substantial improvement in the third quarter. Gross non-performing assets (GNPAs) declined to 8.71 per cent as on December 2018, from 10.35 per cent a year ago. Kumar said with further improvement in recoveries and resolution of stressed assets, the bank is hoping that GNPAs will fall below seven per cent by March 2019. Net non-performing asset ratio declined to 3.95 per cent in December 2018 from 5.61 per cent. The bank would expect it to be below 3 per cent by March 2019. Provision coverage ratio, including written-off accounts, improved from 65.92 per cent in December 2017 to 74.63 per cent as on December 2018.Its exposure of Rs 900 crore to holding companies of IL&FS group has been treated as non-performing and the bank has made 50 per cent provision for it. An exposure of Rs 2,200 crore to operating entities or special purpose vehicles is standard as repayments are happening on the back of cash flows, SBI said. The bank remained well capitalised with capital adequacy ratio of 12.77 per cent against the regulatory requirement of 11.32 per cent at the end of December 2018.